Integrating proven strategies from 30+ years of real-world planning and design practice, UrbanFootprint helps you discover the true costs and benefits of alternative growth patterns quickly, affordably, and reliably. UrbanFootprint is software for urban planning that can be used at many scales for many users. With a sophisticated web-based user interface served and supported over the cloud, UrbanFootprint makes it easier to manage all project scopes, from infill sites, local neighborhoods, corridors, districts, cities and regional plans. 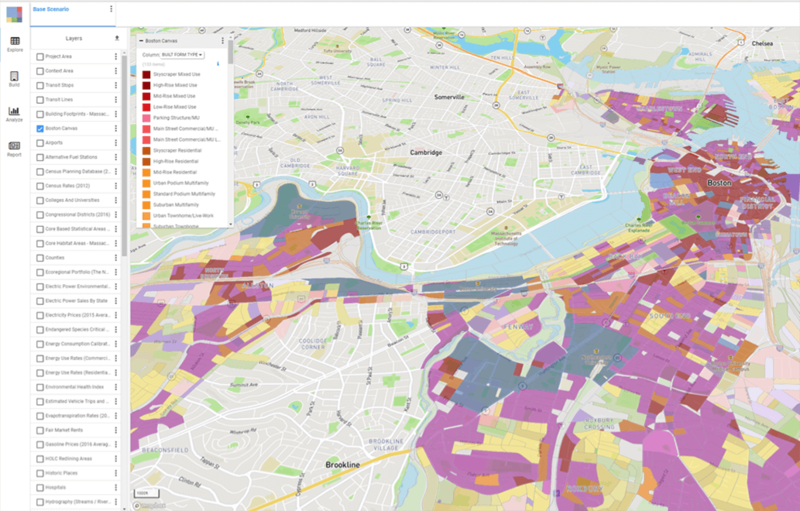 UrbanFootprint is a product of Calthorpe Analytics, a software and services company founded on 30 years of leadership in regional planning and analysis. Founded by leading urban planning and design professionals, UrbanFootprint is the first end-to-end SaaS offering in the industry. Our tools help municipalities, NGOs, private urban planning firms, and regional planners enact innovation, evolution, and sustainable solutions that change the way cities grow.